Skills: Narrative Literature: Recognize common types of narrative texts (RL.K.5), with prompting and support, ask and answer questions about key details in a narrative text (RL.K.1), with prompting and support, retell familiar stories, including key details (RL.K.2), and add drawings or other visual displays to descriptions as desired to provide additional detail (SL.K.5). Materials Needed: Pencil & crayons/colored pencils, highlighters/markers, scissors and glue, document camera or whiteboard. 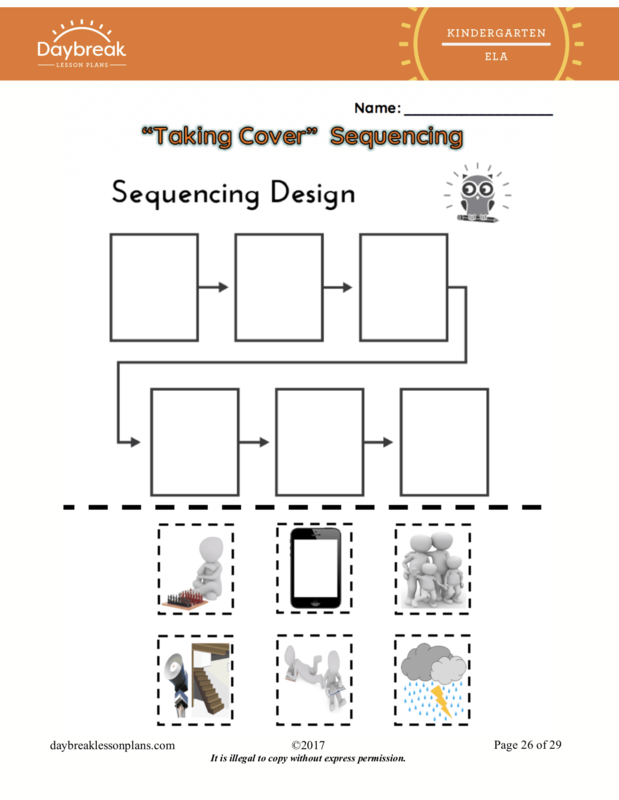 Printable Resources: Required Teacher Printable Text: “Taking Cover,” by Jennifer Kaul (pages 14-20) (1 copy for teacher), Required Student Printable Text: “Taking Cover,” by Jennifer Kaul (pages 21-24) (1 copy per student), Required Printable Resources: “Taking Cover Sequencing Design Map” (page 26) (1 copy per student), and Required Student Printable Resources: My Narrative Story (page 27) (1-2 copies per student and 1 copy for display). 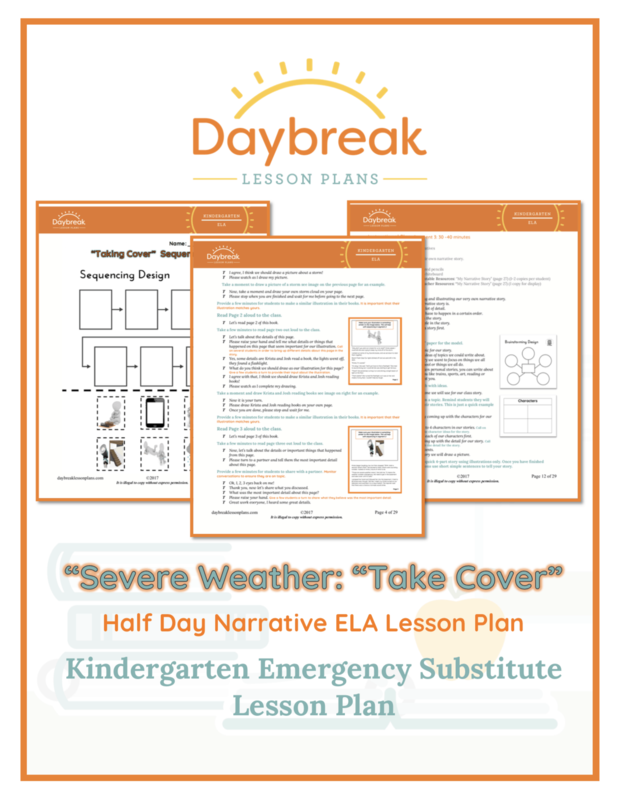 Divided into 3 segments, this half-day lesson plan will give your students the opportunity to discover aspects of a narrative based on NGSS standards. 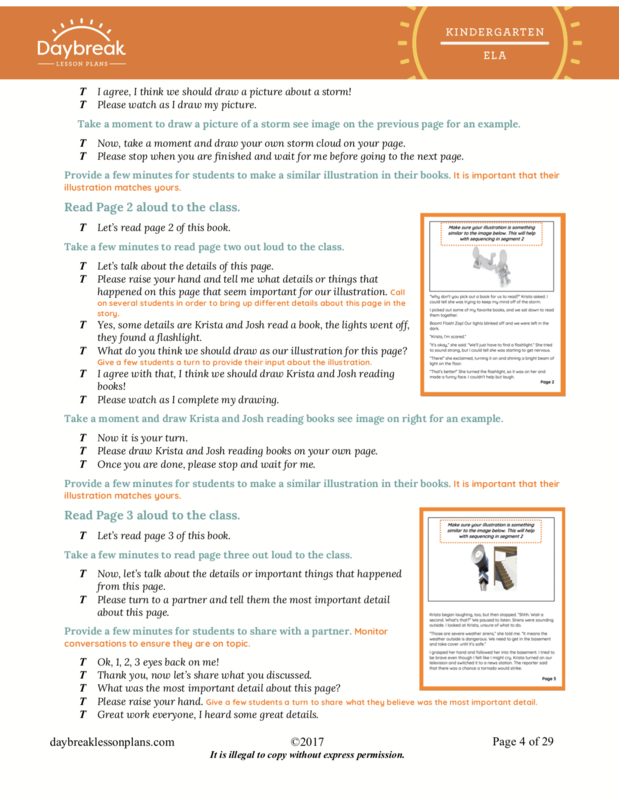 Students will collaboratively ask and answer questions in order to determine the key details, identify main characters and retell the story in their own words. 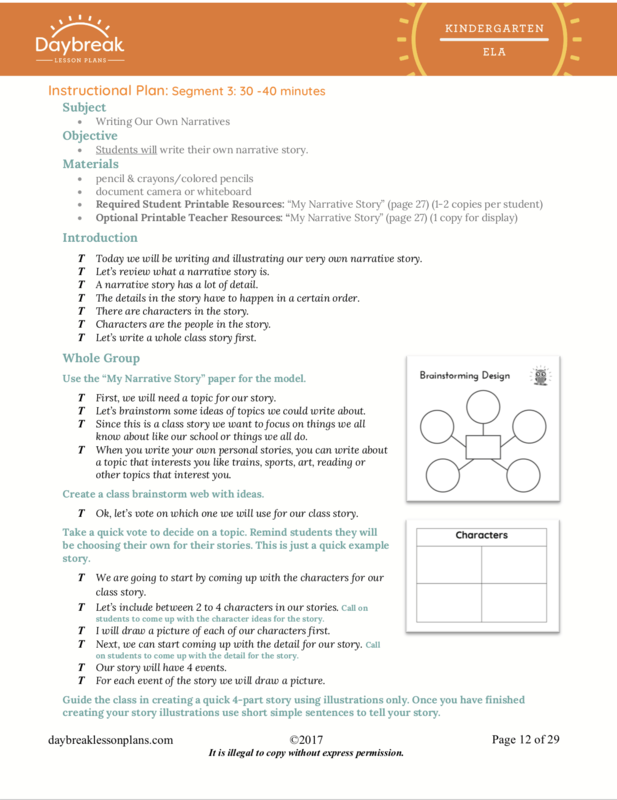 They will also have an opportunity to draw the sequence of events in the story and write their own narrative based on personal experience.